I guess it was a reason the scatter was high on the bombs before the patch, now the plane can destroy everything thats in the way in one load lol. If there is tank, ambu, forward assembly post, inf, u name it..it just get destroyed due to the high dammage and narrow scatter of the bomb. Also, why can they spot by themself? It dosent need any sight. The p47 was nerfed and removed the self spoting so why should them be able to spot. 2. Reduce the damage and insta critical kill against inf on the bombs. Really pisses me off that relic reversed on the decision to remove this ability. All loiter abilities once spotted for themselves, and then relic realized that was crazy unfair. Then several months later, they introduce a loiter that spots for itself. Genius right there. The loiters that don't spot for themselves shouldn't even be in the game. I can't believe we still have an ability like this one. When I tested it earlier I didn't notice it self spotting (though I wasn't looking for it) and I don't see any self spotting references in the notes. I'm at work so I can't check, can anyone confirm it actually self spots because it's ridiculous if it does. They need to address this soon as possible. It will be exploited by may players for free wipes. P47 dont even do that. Uhhh… guys. Sector Assault doesn't self spot. Just tested in cheat mod. It doesn't self spot, but it 'tracks' like all other loiter abilities. So if there is a unit within the circle that gets tracked by the plane, the unit can retreat out of the circle and it will still be targeted. This happens to all loiter abilities and this is why AT strafes can sometimes attack tanks down to the other side of the map. > Uhhh… guys. Sector Assault doesn't self spot. Just tested in cheat mod. It did for a while. By design it was listed as a recon+attack ability. Don't kid yourself though, this ability hardly needs self-spotting to be absurd. As I mentioned above, all tracking loiters have to go. Wow. So strong. How did it find you out side the circle? also it one shot everything out of existence. Not my clip, but the reason it was able to "see" all that stuff is because of tracking. The plane "locks on" to something in its radius so even if you move out of the radius the plane will still hit you with its full payload, no matter where you are on the map. All tracking abilities can do this, I've had p47s finish off a low-health Tiger in its base, and it was a good 30-40 range from the edge of the p47 loiter circle. its one of the slowest if not the slowest artillery in the game so when you see the scouting plane simply leave! don't be a hero it costs 250 munition to turn this things on! and you can make this 250 go to waste if you had one AA unite. for some reason people who play allies as main factions always complain about things that are so easy to counter! 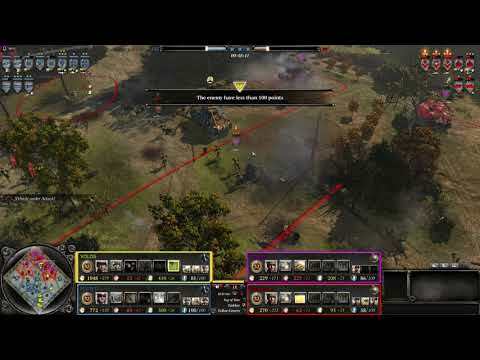 if you use any artillery ability close to the base it will do the same, I had all my infantry whipped out same way but with the USF artillery, stop being such cry out babies and learn that this artillery is the easiest to counter and it take the longest to shoot, so don't be a hero and stay in range, or get an AA halftrack and you would cancel the whole dam thing. @vampvenom If you're defending this ability you and I aren't ever going to agree. You losing units in your base to other artillery shouldn't happen either. No they can't. Only the ones with tracking, the US has no ability that tracks infantry. 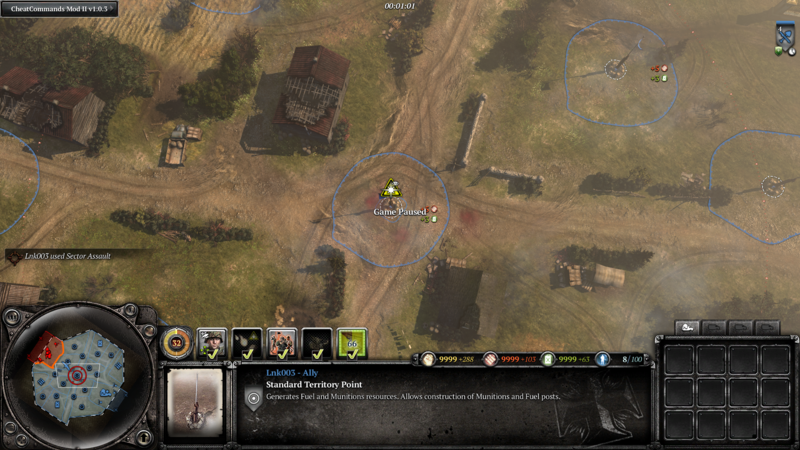 Name the ability that killed your troops outside of the area? If you can't do that then you shouldn't be posting here. So it turns out you are right, it doesn't track "infantry however it does track all vehicle even outside the artillery area of attack" which followed my luchs killed it and killed the retreated infantry around it. so maybe I am partially wrong, but still it isn't much of a margin! Actually I have a right to say whatever I want, just as you have the right not to listen to me. You guys who hate the Sector assault have the same energy for the Air Supremecy from the Commando Commander with the Brits? How about the Anti-Tank Overwatch? If not welcome to the wonderful world of heavy hitting off map. It might blow your mind, but air supremacy gives you a looooong time to move out and doesn't track anything. It also got ennormous cost and is within bad, non used doctrine, it was also massively nerfed from its initial inception. It might blow your mind again, but anti tank overwatch was already nerfed by 50% in damage and delayed in arrival. If you try to make a case here, you've just made one to nerf sector assault by a LOT. > You guys who hate the Sector assault have the same energy for the Air Supremecy from the Commando Commander with the Brits? Air supremacy? No it doesn't track and if you get hit by it you are the only one to blame. Right now it's as big as the air supremacy but on air supremacy 1 the minimap indication match the aoe and 2 it seems weird from a design pov as air supremacy is just a single run vs a 75s ability for sector assault.